A public hearing was recently held on my bill, LB482. LB482 is a bill to prorate property taxes for those who have had their homes destroyed by a fire or some other natural disaster, such as a tornado or a flood. The bill would exempt a property owner from paying property taxes on the real estate for as long as the home or living unit remains unlivable. This is a common sense bill, which I believe should slide easily through the legislative process. However, this is the second year I have introduced this bill. Even with bills which ought to be considered a slam dunk in the Legislature, unreasonable opposition often lurks in the hallways of the Capitol Building, waiting to pounce on a good bill during a public hearing. So, this week I would like to take you inside the Revenue Committee’s hearing room and show how this bill was opposed by lobbyists in the evening hours of February 27th. Due to the lateness of the hour most of the testifiers who had filled the hearing room to testify on other bills had already decided to go home. LB482 was the last bill on the Revenue Committee’s agenda for the day, and the hearing started shortly after 6:30 p.m. while most Nebraskans were finishing up their supper or settling down for the evening. Mr. Tom Placzek, who works as the assessor for Platte County, was the first one to testify against LB482. Mr. Placzek said he spoke on behalf of all county assessors in the state, and he indicated that he could not find a single county assessor who liked LB482. Placzek’s primary complaint was that the bill requires county assessors to report all destroyed properties to the County Board of Equalization. Placzek insisted that county assessors do not always know when properties get destroyed, and that county assessors do not want this responsibility being transferred onto them. Mr. Placzek’s main reason for opposing my bill made no sense at all. So, during my closing remarks I reminded the members of the Revenue Committee that it is the job of every county assessor to accurately valuate every property in their county. Furthermore, every homeowner instinctively knows that if they so much as build a doghouse on their property, the county assessor knows all about it. So, if assessors know when you improve your home, then they also know when your home is destroyed. So, in the final analysis Placzek’s opposition to my bill amounted to nothing more than a bad excuse for him not to do his job. The second person who testified against LB482 was Mr. John Cannon, who represented the Nebraska Association of County Officials (NACO). Mr. Cannon’s primary complaint with LB482 was that the bill could potentially put counties into a precarious situation in the event of a widespread disaster, such as the tornado which devastated the entire village of Pilger on June 16, 2014. The Pilger tornado, for example, wiped out so many homes that recovery would have been extremely difficult for the village without access to all of the property taxes. Again, Mr. Cannon’s primary reason for opposing my bill made no sense at all. So, during my closing remarks I reminded the members of the Revenue Committee that those who have had their homes destroyed have no money either. In the final analysis, NACO would rather put the public finances of counties, metropolitan areas, cities, towns and villages over the personal finances of those who’ve had their homes completely destroyed. To me, their argument represents the inverted value system that is routinely imposed upon legislators by paid lobbyists. Government should exist for the betterment of the people, not for the betterment of the government. As long as I serve in the State Legislature, I will represent the people of Nebraska, not the Lobbyists. Radical Left-wing activism continues to run out of control at the University of Nebraska – Lincoln (UNL). The University’s administration continues to turn a blind eye, instead of dealing honestly with the illicit behavior of its own faculty members. The unhinged behavior of the faculty will continue to worsen until University President, Hank Bounds, and Chancellor, Ronnie Green, are finally forced to deal with it. Certain events unfolded last week in Lincoln, linking a Left-wing, activist professor at UNL to illegal behavior. While it should be needless for me to have to say that any kind of deviant or illicit behavior is inappropriate for a university professor, the University’s administration doesn’t seem to care. Meanwhile, the reputation of the University of Nebraska – Lincoln continues to slide into the cesspool of radical, Left-wing political activism, including illicit acts of vandalism. On February 20th Patricia A. Wonch-Hill was arrested and ticketed for three counts of vandalism. Hill is an assistant research professor of Sociology at UNL. Hill was ticketed for putting googly eyes on two of U.S. Rep. Jeff Fortenberry’s campaign signs and using a piece of tape to change the “o” in his name to an “a”, insinuating that his name refers to human flatulence. 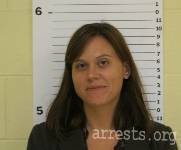 She was also ticketed for putting fake blood and “Betsy Riot” stickers on the front door of Sen. Deb Fischer’s office. According to the Lincoln Police Department Hill’s fingerprints were found at all three locations; thus, linking her to these three crimes. This was not the first time Patricia A. Wonch-Hill has been charged with an illegal act of vandalism, though. Last year Hill was found guilty in a Virginia court for spraying fake blood on the house of Chris Cox, a spokesman for the National Rifle Association. While in Virginia Hill also harassed Cox’s wife by passing out anti-gun pamphlets in front of her place of business. Patricia A. Wonch-Hill also took over as president of the American Association of University Professors (AAUP) one year ago after ousting former president, Donna Duffner, who served for only one month, in order to censure UNL for terminating Courtney Lawton, the graduate teaching assistant who harassed Kaitlyn Mullen. UNL has remained on the AAUP’s list of censured universities since May 2018. In the world outside of academia employees are expected to represent well the business they work for. Illegal behavior is not tolerated because it tarnishes the reputation of the company. I expect no less from our flagship university. As a land grant university, Patricia A. Wonch-Hill does not just represent the university who signs her paychecks, she also represents the State of Nebraska. When our Founding Father, Abraham Baldwin, a man of high moral character who signed the U.S. Constitution, founded the College of Georgia in 1785, which later became the University of Georgia, he wrote in the school’s original charter that “…civil order should be the result of choice and not of necessity…” By saying this, he did not mean that civility is always a matter of personal choice; instead, he meant that when civility is the result of good moral character, it does not have to be regulated or coerced. Unfortunately, the lack of action by the administration at UNL to confront the behavior of its own faculty continues to reduce civility to a matter of necessity, rather than choice. Unfortunately, UNL will never restore a sense of civility among its own faculty until it is finally forced to do so. This week I will have public hearings on three of my bills. Today I would like to introduce you to those bills and present my reasons for introducing them. On February 19 I will have a public hearing on LB161. This is a bill to eliminate the Learning Community. The Learning Community offers early childhood education, family engagement, and educational preparation programs to children and families in Douglas and Sarpy counties. Although the Learning Community does not directly affect folks living in Nebraska’s Panhandle, it has become a scourge in Douglas and Sarpy counties with a vision to expand across Nebraska. The Learning Community has lost sight of its purpose and has devolved into an organization in search of a mission. The Learning Community’s board has abandoned its original purpose, they have started their own private foundation, they have wasted tax-payers dollars, and they have inadvertently driven private businesses and charity organizations out of Omaha’s inner city neighborhoods. For these reasons and more, the Learning Community needs to be terminated and replaced with a better program with proven results. On February 21 I will have a public hearing on LB386. LB386 is a bill to correct the relationship between taxes levied and cash reserves. The bill will cap the cash reserves of local units of government with tax asking authority at fifty percent of their annual operating budget. The reason for this bill is to prevent the abuse of cash reserves. Some local units of government have abused their tax asking authority by accumulating egregious amounts of cash reserves at the expense of the tax-payers. This bill will prevent this kind of abuse from recurring in the future. There simply is no reason why any local unit of government with tax asking authority needs cash reserves in excess of fifty percent of their annual operating budget. On February 21 I will have another hearing on LB483. LB483 is my priority bill for 2019. The bill will change the way agricultural land gets valuated for property tax purposes. LB483 will change agricultural land valuations from the current market based system to a productivity based system. LB483 is needed because the current market based system has never valuated agricultural land in a fair and equitable way. In most cases the current market based system valuates agricultural land upon one percent of sales in the county. Oftentimes hunting groups or other special interest groups will pay exorbitant prices for land which drives up agricultural land values across the county. The result has been that agricultural land valuations have risen beyond the level where many landowners can continue to farm or ranch in Nebraska. LB483 will change the way we value agricultural land to a productivity based system. The bill will tie agricultural land valuations to the soil productivity ratings provided by the National Resources Conservation Service. The bill will also create the Agricultural Land Valuation Board, which will be charged with the task of setting the discount rate and creating a manual for county assessors to use when valuating agricultural land. This week I will have public hearings on two bills in the Legislature’s Transportation Committee. The hearings on both bills will occur on February 12. The ideas for these two bills came to me from constituents living in Legislative District 47. So, today I would like to introduce you to the basic content of these two bills. The first bill is LB371. LB371 is a bill which will allow Nebraskans to operate their all-terrain vehicles (ATV’s) on Nebraska’s highways and roadways. Current law forbids Nebraskans from crossing State highways with two or more lanes of traffic with their ATV. In order to cross a four-lane divided highway the owner or operator of an ATV must load the vehicle onto a trailer or into the back of a pick-up truck, cross the highway, and then unload the ATV. This is ridiculous! Therefore, my bill will allow the owner or operator of an ATV to cross a four-lane divided highway or to drive on a four-lane divided highway. Farmers and ranchers use ATV’s to fix fences, to herd cattle, and to check on their fields. Using an ATV to accomplish these kinds of tasks is often more practical than using a pick-up truck, but current law forbids a farmer or rancher from traveling from one field to another on a two-lane State highway. 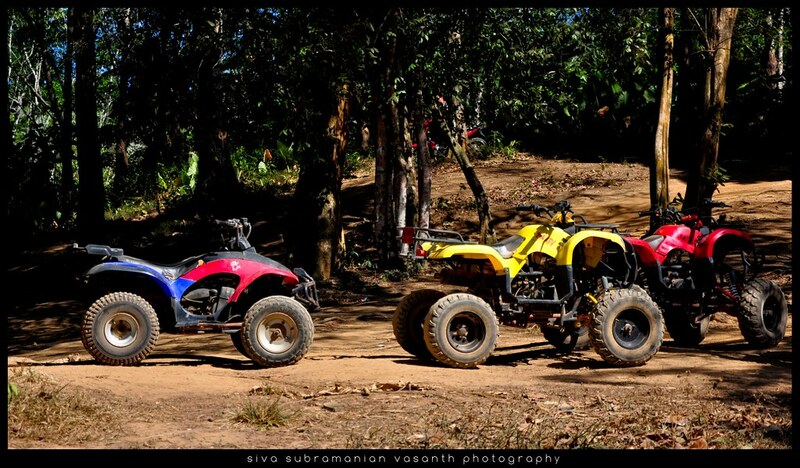 Therefore, my bill would change the law to allow farmers and ranchers to use their ATV’s on these kinds of roads. The second bill that will get a public hearing is LB612. LB612 is a bill which will allow the loved ones of those who have lost a family member in a tragic accident on a Nebraska roadway to memorialize the deceased person with a special kind of road sign. The pain and heartache of losing a loved one in a tragic accident is difficult to relate to until it happens to you. Therefore, these memorial road signs will help the surviving family members to grieve their loss. LB612 will direct the Department of Transportation to erect memorial road signs to commemorate the deceased person by the request of surviving family members. Members of the deceased person’s family may fill out an application at the Department of Motor Vehicles and pay the required fee in order to memorialize their loved one near the location of the accident for a period of ten years. After ten years the family members may re-apply and pay the required fee to extend the memorial for another ten years. 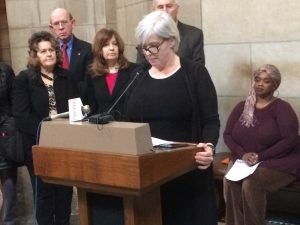 The bill prohibits memorial signs to be erected for any deceased person who died on a Nebraska roadway with a blood alcohol content level at or above the legal limit. On Thursday, February 7 the Legislature’s Revenue Committee will hold a public hearing on my resolution for a Constitutional Amendment on property tax relief. Property tax relief has been my number one priority ever since I came to the Legislature. As I’ve talked with people all across the State, it is evident and clear that no single issue matters more to Nebraskans than property tax relief. My resolution for a Constitutional Amendment for property tax relief will allow all Nebraska property owners to claim a thirty-five percent credit or refund of their property tax bill on their Nebraska State Income Tax Return. Even if you have no income, but you pay property taxes, you will be able to file a Nebraska State Income Tax Return in order to claim your refund. My resolution for a Constitutional Amendment for Property tax relief is known in the Legislature as LR3CA. The public hearing will be held at 1:30 p.m. in Room 1524 at the State Capitol. Those wishing to testify should come early, sign the register, and fill out the green sheet in the hearing room. If you cannot make the long drive to Lincoln, letters and e-mails of support for the resolution can be sent to Sen. Linehan, Chair of the Revenue Committee, so long as they are received before 5:00 p.m. on February 6. Please be sure to state in your letter or e-mail that you want your comments to be put in the public record. A citizen-led petition drive has been circulating around Nebraska, containing the same language as LR3CA. Please make it a point to sign the petition when it comes to your area. 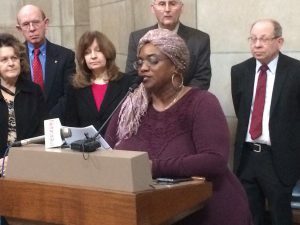 If the Legislature refuses to pass LR3CA, then Nebraska’s second Legislative House will speak up. Nebraska’s second Legislative House is the people of Nebraska. Nebraskans need property tax relief regardless of whether or not the Legislature has the guts to pass my resolution. On another note, last week the Revenue Committee held a public hearing on my bill, LB372. LB372 is an agricultural land valuation bill, but it is not the one that will change our valuation system over to an income based approach. LB372 is a necessary bill because it corrects a problem in the way the Property Assessment Division currently values agricultural land. LB372 sets the stage for LB483, which is my larger bill to change agricultural land valuations over to an income based approach. One of the problems with the way agricultural land currently gets valued relates to the soil data that the Property Assessment Division applies to dryland cropland, irrigated cropland, and grassland. Currently, the Property Assessment Division misapplies dryland cropland soil data from an index provided by Natural Resources Conservation Service (NRCS) to irrigated cropland and to grassland. This practice by the Property Assessment Division causes County Assessors to value agricultural land inaccurately. Because of this practice, the Property Assessment Division has been valuing agricultural land inaccurately. Instead of the current practice, the Property Assessment Division ought to apply soil data provided by the NRCS appropriately. In other words, NRCS soil data for irrigated cropland ought to be applied to irrigated cropland, and NRCS soil data for grassland ought to be applied to grassland. Instead, the Property Assessment Division only uses soil data for dryland cropland, and this practice skews valuations for irrigated cropland and grassland. Therefore, my bill, LB372, fixes this problem. The bill requires the Property Assessment Division to apply the appropriate NRCS soil data to whatever kind of agricultural land is being assessed, and this fix will help to make agricultural land valuations more accurate and fair. Special Committees are a different story. I will continue to chair the Building Maintenance Committee, which is a Special Committee of the Nebraska Legislature. The Building Maintenance Committee does not have regular meeting times during the Legislative Session; instead, the committee is required by State Statute to meet at least four times during the year. The Legislature approved the rules within the first ten working days, avoiding the stalemate of two years ago. Senators will need all the time they can muster this year in order press through all of the new bills. Nevertheless, the one rule change I believe needed to pass, but did not, was a rule change introduced by Sen. Groene to eliminate secret ballots when voting for committee chairs. I believe each constituent deserves to see how his or her Senator voted on these committee chair assignments. Secret ballots undermine the need for transparency in government. Last Tuesday we had a public hearing on my bill LB73, a bill to put the National Motto in our K-12 public schools. Few turned out to testify at the hearing because of a severe winter storm which swept over Lincoln that day. Nevertheless, the bill now rests in the hands of the Education Committee. The other public hearing which got a lot of attention last week was Lincoln’s Sen. Anna Wishart’s priority bill, LB110. LB110 is a bill to adopt the medical cannabis act. The bill has a lot of support in the Legislature, including thirteen co-sponsors. The bill includes a state regulatory scheme to regulate, promote, inspect, authorize, and license the use of marijuana. However, there remain some very serious problems with the bill. The bottom line is that the State of Nebraska cannot run ahead of the federal government when it comes to legalizing medical cannabis. The Supremacy Clause of Article VI in the U.S. Constitution says that federal laws trump all state laws. 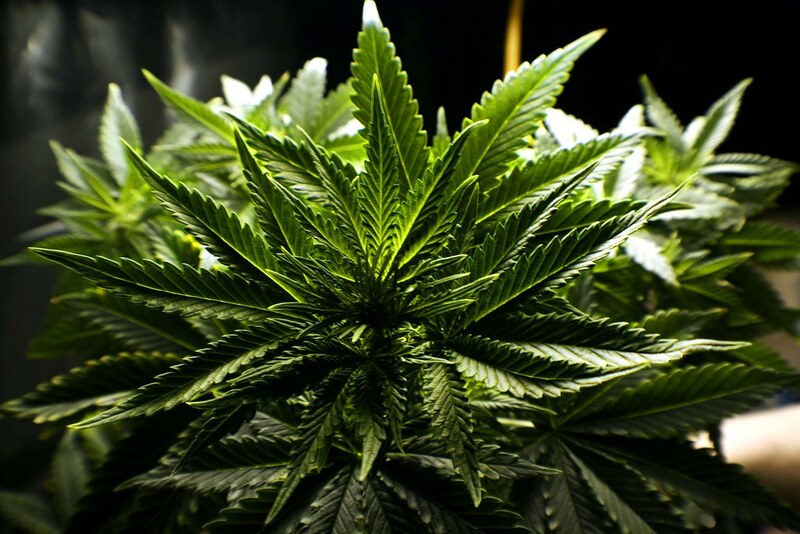 Marijuana remains an illegal drug under the federal Controlled Substances Act. Accordingly, there can be no acceptable medical use of marijuana until the drug is removed from the federal government’s list of banned substances. Consequently, LB110 cannot pass constitutional muster because it seeks to undermine the Controlled Substances Act of the federal government. Should this bill ever become law, the courts would necessarily have to strike it down as unconstitutional. I’m afraid Sen. Anna Wishart has wasted her priority bill on an unconstitutional piece of legislation. On Tuesday, January 14, Governor Pete Ricketts held a proclamation signing ceremony, where he declared Wednesday, January 16, as Religious Freedom Day in Nebraska. Religious Freedom day is celebrated nationally on January 16 because that day commemorates the anniversary of the 1786 passage of the Virginia State Statute on Religious Freedom. Gov. Ricketts was flanked at the signing ceremony by a variety of faith leaders as well as a group of school children from a local Catholic school. The fact of the matter is that religious bigotry is a growing problem in America today and attempts are even being made to corrupt the youth of America. For instance, in March DC Comics plans to release a new comic strip called “Second Coming.” DC’s new comic strip will depict Jesus as a superhero who has to return to earth in order learn how to become the “true messiah.” Art Ayris, who is the publisher of Kingstone Comics, the largest Christian Comics publisher in the world, has called DC’s new comic strip blasphemous because it undermines the deity of Jesus Christ by reducing him down to a Superman-like superhero. To be sure, reducing Jesus down to a fictional comic book character is something Sen. Ernie Chambers would certainly be proud of. 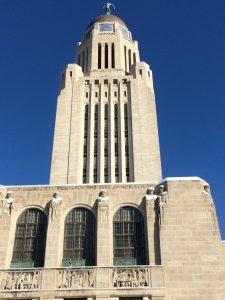 For these reasons and more, the first bill I introduced this year in the Nebraska Legislature was LB73, a bill to require our public schools to prominently display our National Motto. The public hearing on this bill has been set for Tuesday, January 22. I believe it is time to return our National Motto to our schools. Capitol Visitor Center, Washington, D.C.
Good morning, my name is Sen. Steve Erdman, and today I introduced a bill to end the Learning Community. The original purpose of the Learning Community (LC) was to deliver basic educational services to poor and disadvantaged children in order to accelerate the learning process and to increase academic achievements. The vision statement on the LC’s website states: “That all children in the Learning Community achieve academic success without regard to social or economic circumstances.” Unfortunately, the Learning Community has lost sight of its original purpose and goal, and continues to expand into areas well beyond its intended scope and purpose. The LC’s mission is to “measurably improve educational outcomes.” But, after being in operation for more than 10 years the LC has failed to provide the public with concrete and objective measurable evidence of student success. Contrary to the opinion of David Patton, the LC’s CEO, who recently told the Omaha World Herald that “the data is crystal clear,” closer examination of the evidence shows that the sample sizes of their data were too small to be meaningful and their improvements were so slight that no reasonable person could counted them as any kind of significant improvement. Moreover, they cite as measurable results things which are either too vague or too impossible to measure, such as providing “emotional support” to students and families. When it comes to early childhood education, recent and past studies show that early childhood education programs do not accelerate the learning process at all. For instance, a 2012 article written by Andrea Mrozek concluded that what pre-K children need most is “playing in an environment of adult attachment.” In other words, pre-K children learn best at home under the nurturing care of their own parents, not by an adult stranger in an educational institution. Perhaps, the most egregious example of how the Learning Community has lost sight of its original purpose came last year when the LC board members approved the setting up of a non-profit, private foundation. The foundation has no defined purpose, no regular members, and its directors are not elected by the public. Their meetings are not open to the public, nor do they require a public notice, nor do they even require an agenda. The foundation does not adhere to open meetings laws or public records laws, nor has anyone disclosed how they intend to spend the foundation’s money. It is wrong for Nebraskans to be funding a secretive foundation with no public accountability whatsoever. The LC has also engaged in egregious spending. The General Fund expenditures of the LC are projected to increase 16% this year while its capital projects are expected to rise by another 6%. The LC’s operating budget is projected to rise to $8.9 million, which is a 6% hike from last year. The LC is levying the maximum amount allowable by State law. In order to help you see how they waste taxpayer dollars consider the way they cater meals for some of their adult learning programs. While their kitchen sat unused on June 14, 2018, the LC catered meals from Shields Catering Service for $2,300 and from African Cuisine Catering for an additional $970. Total cost for the catered meals that day was $3,270. Many of the LC’s programs undermine our free-market economy as well as our charity work. For instance, after the LC gave monies to One World to start a free daycare center, those private day care centers which were already operating in the community, such as the Safe Haven Daycare Center in north Omaha, were driven out of business. Moreover, after One World began teaching English as a Second Language to Spanish only speakers, the charity programs which had been teaching English as a second language to speakers of all languages, such as the program provided by the Literacy Center of the Midlands, suddenly fell by the wayside and closed its doors. Meanwhile, non-Spanish speakers were left with fewer place to go to learn English. The LC is out of control and needs to be stopped immediately. The bill I introduced today is the longest bill I have ever introduced. The bill is 143 pages long. The reason the bill is so long is because the LC has expanded its tentacles into so many different areas of life in the greater Omaha metropolitan community without ample justification for doing so. Instead of focusing on its original purpose, the LC has devolved into an institution in search of a mission. If there is to be a Learning Community in the future, let it be run by parents in the Omaha Public School District or by a privately funded organization. Let the Legislating begin! 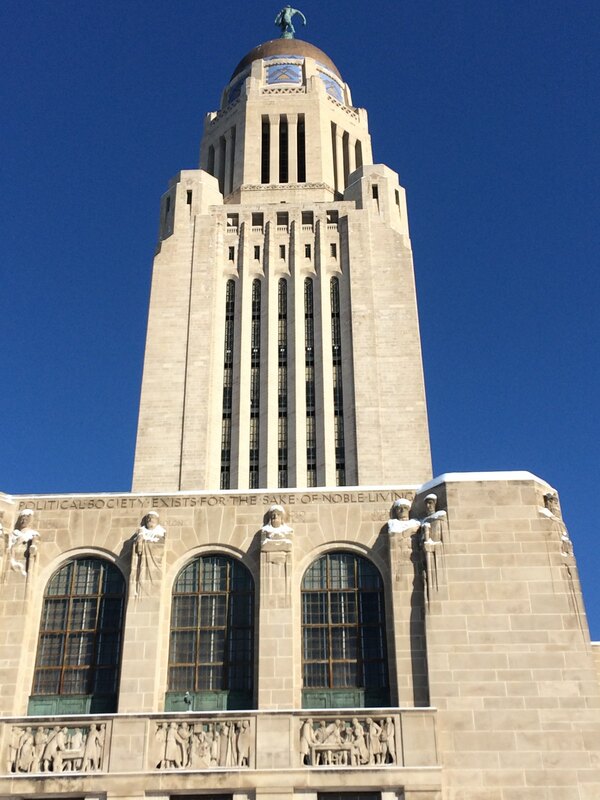 The new biennial session of the Nebraska State Legislature began on Wednesday, January 9. That day began with some pomp and circumstance as 13 new senators were sworn into office. Then, the honeymoon ended abruptly as we turned our focus to committee chairs. This year experience and expertise played a more significant role when voting on committee chairs. Consequently, neither of the two major political parties dominates the other when it comes to these committee chairs. Thursday, January 10, marked the first day to introduce bills. Senators will have until January 23 to introduce new bills. Nevertheless, 138 bills were introduced on that first day. Some of the more controversial bills that were introduced that day include one to legalize medical marijuana and one to give judges the authority to seize guns from those deemed to be mentally incompetent to own a firearm. The first piece of legislation that I introduced on that day was a resolution for a constitutional amendment for property tax relief. This resolution has the same wording as the citizen-led ballot initiative which is now circulating around the state. This constitutional amendment will allow all Nebraska property owners to claim 35 percent of their property tax bill as a credit or a refund on their Nebraska State income tax return. Because high property taxes are the number one issue dogging all Nebraskans, especially those living in Western Nebraska, I was proud to introduce this resolution as my first piece of legislation going into the 2019-2020 biennial session. Besides my resolution for a constitutional amendment for property tax relief, I also introduced one other bill that first day. The other bill that I introduced was a bill to put the National Motto on display in every public school in Nebraska. The time has come for us to put God back into our schools. 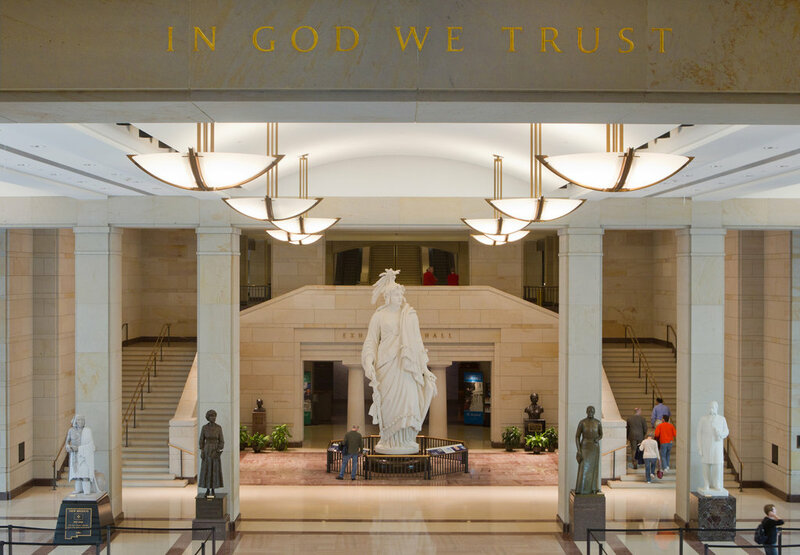 This bill simply states that schools need to put a poster with the national motto, “In God We Trust,” in every classroom or in another place, such as the school cafeteria, where all students will be able to read it on a daily basis. The bill should cost the State no money, because private individuals and businesses will be allowed to pay for the posters, thus, defraying any costs to the schools. Moreover, any school needing a poster can simply print one online or get a copy from my office. That bill also states that the Nebraska Attorney General will defend any school who gets sued by a group seeking to remove the posters from our schools. On Friday, January 11, I introduced a bill to eliminate the Learning Community and I held a news conference in the rotunda of the Capitol following that day’s session to explain why I introduced the bill. The Learning Community is a State funded and State mandated program to help poor and disadvantaged children in the Omaha metropolitan area succeed academically. At least, that is what it started out to be more than ten years ago. The Learning Community has abandoned its original purpose and has expanded into areas well beyond its original scope and purpose. In short, it has devolved into an organization in search of a mission. Meanwhile, they waste millions of dollars on programs with no proven track record for success, and last year they started a foundation with no defined purpose, no regular members, and no elected members. The foundation’s programs and expenditures require no approval from the Learning Community’s board, nor are there any mechanism set in place to guarantee transparency to the public. Their meetings are not open to the public, nor do they require a public notice, nor do they even require an agenda. The foundation does not adhere to public records laws, nor have they disclosed how they intend to spend their money. It is wrong for Nebraskans to be funding a secretive foundation with no public accountability whatsoever; therefore, I believe the time has come to put an end to this revenue-wasting monstrosity.